I've just started a huge redecorating project for my bedroom, and in clearing my shelves to ready them for a much needed lick of paint I distracted myself for a good couple of hours looking through my collection of Vogues. 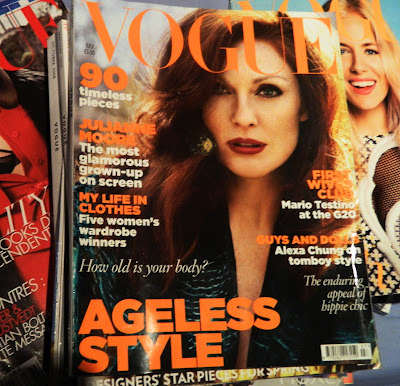 One of the first covers to catch my eye is this one of Julianne Moore from July 2009, for that year's 'Ageless Style' issue. I just can't believe how beautiful this Julianne's cover is; the subtle, warm lighting, her natural (read: unphotoshopped) freckled skin and flawless makeup. The only incongruous aspect is the autumn palette and lighting that Vogue has used (for me, the colours look more suitable for a September/ October issue), but overall it's a hundred, million times better than the over-produced covers of the likes of Cheryl Cole that we've seen in recent years. 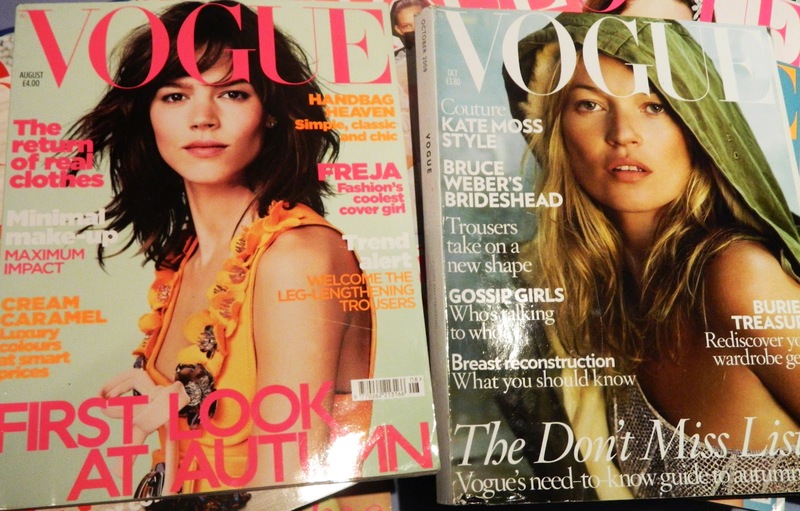 More please Vogue. However, I adored in the most recent 'Ageless Style' issue was the feature on the wardrobes of inspirational, driven women.